Black pepper – or the humble paminta – is so ubiquitous that it is often taken for granted. Yet, without it and other spices, the world as we know it in the present may not even have come to be. It was the quest after it, as a matter of fact, that fuelled the great explorers of yore to seek out lands far and wide so that the tables of the rich and famous in Europe might be adorned by the most exotic and sumptuous of feasts. Native to India, the black pepper is the fruit of a flowering vine from the Primarae family that grows in many tropical countries. It is used as both spice and seasoning; and is even known to have medicinal properties. The plant is widely cultivated in some provinces of the Philippines; and Batangas is one of these. All it needs to flourish is soil that is fertile and well-drained and posts upon which the vines can climb. It can also be planted in spaces between other plants and trees. In the Maralit Farm – a 3,600 square metre lot in Barangay San Salvador in Lipa City – black pepper plants are grown in between banana, coconut and lanzones trees. The plants are not particularly fussy and only need to be fertilized occasionally. Although they are tropical plants that can bask under the sun, too much of this can also cause something that is called sunscald. The plants are propagated using either seeds or stem cuttings and shall be ready to bear fruits 5 years after planting. From then on, they bear fruits annually. The farm employs two people to care for the plants; but 5 more are hired when the time comes to harvest the pepper fruits. The vines begin to bear fruit in January and these are harvested in April. The fruits are initially harvested while still attached to their stems and dried under the sun for 2 or 3 days. Afterwards, the individual fruits are manually detached from the stems and sundried for another 4 to 5 days. 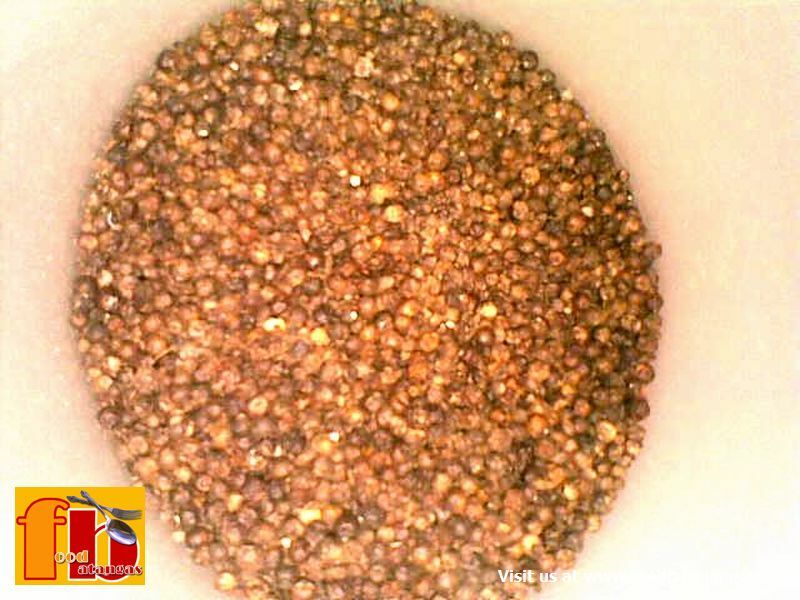 From the sun-drying process, they gradually obtain their familiar black colour and become known as peppercorns. Fully dried, they are ready for grinding. The Maralit farm yields 20 sacks annually, with each sack weighing 50 kilos. The peppercorns sell for anything between 100 and 200 pesos per kilo. The price of the peppercorn, however, can be extremely volatile. While there are those from around the province who visit the farm to buy black pepper each year, there are some years when sales are slow. The black peppercorns are then brought and sold to buyers in the Lipa City Public Market. Interested buyers may look for Josephine Maralit in Zone 2 of Barangay San Salvador in Lipa City.